In Islamic countries there is a congregational mosque in every city. In fact, the most important mosque in any city is called the Jame Mosque. Friday preaching or prayer is recommended to the Shiites and community mosques in cities are used for the Friday preachers. Large areas were allocated in the large cities. Masjede Jame in Isfahan is the most notable mosque in Isfahan. It is an encyclopedia of Iranian and Islamic art and architecture. Step by step development of Iranian art and architecture can be seen in this complex. It takes at least half a day to visit different parts of it. The complex shows different structures from different centuries, which date back to the 10th century to the 18th century. The oldest part was built on a Sassanid fire temple, which belonged to the Zoroastrians. 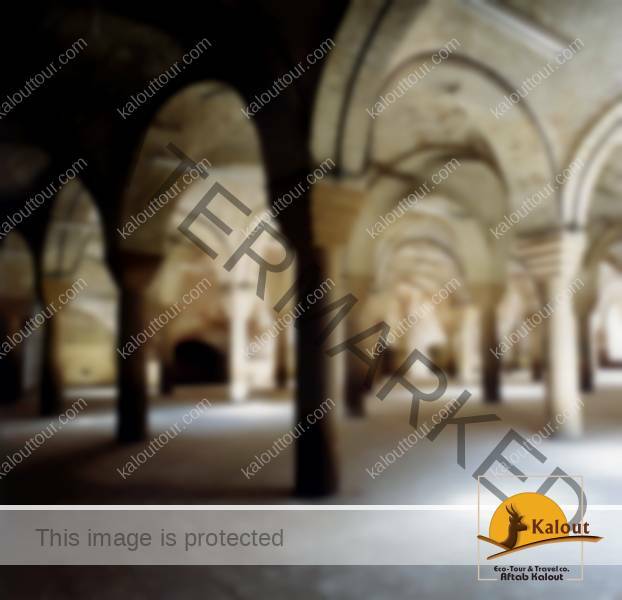 The first part of the mosque dates back to the 8th century. The second mosque or part belonged to 1030. During the Buyid Dynasty in 908-932 one of the oldest parts was built. In Buyid, a court of several prayer halls was built. In later centuries changed in the mosque. Saheb Ibn Ebad was a learned minister of the Buyid dynasty who lived in Isfahan and played a major role in the development of Isfahan. The Seljuk Dynasty extended the mosque in the 11th century. 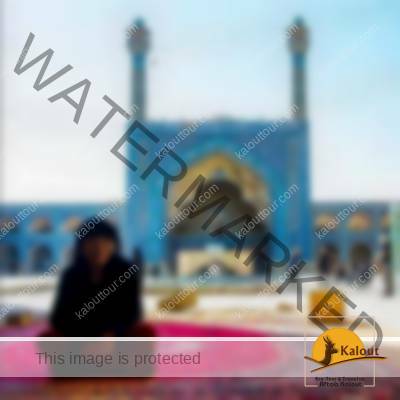 The jame mosque shows specifications of Iranian mosques. It has a courtyard and there are four large Eivan (Grand Arches). It has one of the largest courtyards in Iran. Four Eivans are connected by two storey arcades. Eivans are from the 15th to 17th century. These arcades are decorated with tiles. Some of these tiles are glazed and some are inlaced. There are two marble pools in the courtyard. One of these basins is covered by a structure that reminded Saint Kabeh of Mecca. Muslims were able to practice the Hajj rites before they traveled to Mecca. This Eivan is known as Soffe Saheb Ibn Ebad. The present Eivan dates back to Seljuk period. There are two beautiful minarets on the top of Eivan, which are 35 meters high, and belong to Aq- Qunlu era. Interior and exterior parts of Eivan are beautifully decorated with tiles and tile mosaics. The inscription comes from the Safavid dynasty. On the back of this Eivan there is a wonderful sanctuary called “Nezam Al Molk” dome. Nezam Al Molk was a popular vizier of the Seljuk dynasty. This dome was built in 1030. The dome reminds us of Sassanid architecture. There is fantastic calligraphy in Kufic script, which dates from the 11th century around the dome. The name of Nezam Al Molk can be seen in the calligraphy. The dome is one of the most glorious domes of Iranian mosques. The base of the dome is in a rectangular shape, which is transformed into a circular dome. This is a pre-Islamic technique, but the size of the dome can not be compared with pre-Islamic domes, which were much smaller than this high monument. Ornaments of the Mehrab (prayer benches) and also marble stone of the lower part belong to the Safavid era. HYPOSTYLE HALLS & TAJ AL MOLK DOME. Sofe – ye Darvish (Eivan) is from Seljuk dynasty. Fabulous ornamentations of this Eivans belong to later period. 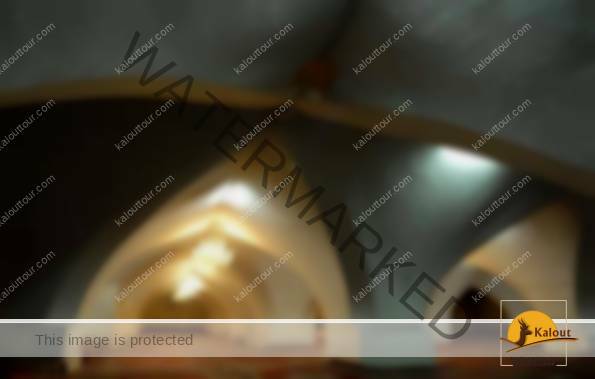 Specifications of ornamentation are different from other parts of the mosque. The magnificent stuccoworks are from Shah Soleiman Safavid. Behind the Eivan, there are successions of hypostyl halls, which come from different times. At the far end is the tall dome of the Taj Al Molk. Taj Al Molk was a Vizier from the Seljuk Dynasty. He competes with Nezam Al Molk. This magnificent dome was built by the command of Taj – Al Molk. Interior decoration of Taj Al Molk dome is unique in all Iranian mosques. It is a single shelled dome. Fortunately the dome and its decoration have not been damaged. Great varieties of designs are made of plaster and small pieces of bricks are a splendid sample of huge artistic work. In fact there is a collection of designs which have survived for more than 900 years. The dome is without any Mehrab (prayer- niche). One of the entrances to the mosque is located next to the dome. For those architects who are seeking traditional adornment, the dome is considered a museum of decorative designs. The Kufic calligraphy around the dome’s base dates back to 1080 and covers the name of Taj Al Molk. The Khaki dome is about 18 meters high and about 9 meters in diameter. The western Eivan is called Soffe – ye – Ostad. The original construction belongs to Seljuk dynasty. The beautiful tile and tile- mosaic work belong to era of Shah Sultan Hossein. This Eivan is considered a wonderful museum of Iranian and Islamic calligraphy. Various types of calligraphy such as Solth, Nastaliq, Bannaeis and geometrically designed calligraphy have decorated inner parts of Eivans. For those artists who have selected calligraphy as their field of art, this Eivan has a lot to teach. Next to the Eivan, there is a door that opens to another part of the mosque built by Sultan Oljeitu. One of the most fantastic mehrabs is in this part. Many Iranians consider this Mehrab has a unique structure. It shows an excellent stucco work from the year 1310. Unfortunately, it was damaged at bombing of Isfahan. There is an old wooden minbar in this part. The Mehrab’s design shows a combination of calligraphy, imaginary flowers, blossoms and leaves which is a masterpiece in Islamic world. Such a fantastic work can be created by a unique faithful stucco work artist. Each part of the Jameh mosque is a masterpiece of art and architecture. This winter gallery from Timurid era is one of the beauties of Iranian architecture, dates back to 1447. Every part of it looks like tents used by Timurid. This part is quite cool and warm during the hot summer season during the cold days of the winter season. The style of the winter gallery is almost self-sufficient for heating and cooling systems. Daylight is reflected to Beit Al Sheta through small windows covered with slices of marble stone. The architect has made ideas from tents to create this part. It was originally built during the Seljuk period. Ornamentation is from Seljuk and IL – Khanid periods. Fortunately his ornamentation from Seljuk and IL Khanid has not been damaged. The calligraphy of this Eivan is from Shah Soleiman Safavid. The central part of Eivan has a structure which is similar to Eivane Ostad, on the opposite side. Next to this Eivan there is a corridor leads us to a Madreseh (Theological School) from Mozafarid era.